Canada’s Greatest Animal is the grey wolf – where do we go from here? It’s official Canada- you howled, growled, and voted for the grey wolf as Canada’s Greatest Animal!! The leader of the pack became just that, pulling ahead of the other ‘Eh Team’ candidates early in the campaign, which kicked off on March 23, 2017. The incumbent beaver wasn’t far behind and chewed through the competitors, but it was ultimately stumped, landing in a respectable second place. Dam! We are so proud of how Canadians from all across the nation stood up for our animals. You championed your favourite Canuck species, shared the message, and reminded your neighbours about the incredible wildlife that is right outside their door. 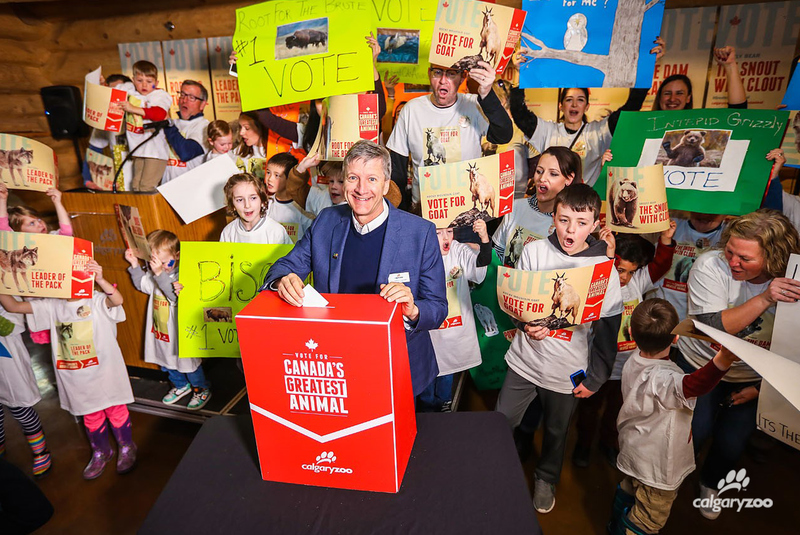 Calgary Zoo CEO and President Clement Lanthier casts the first vote for Canada’s Greatest Animal. It’s a sad truth is that many of Canada’s iconic animals are struggling, whether it be due to habitat loss, disease, or a combination of factors. The first step of conserving these incredible animals is sharing education. 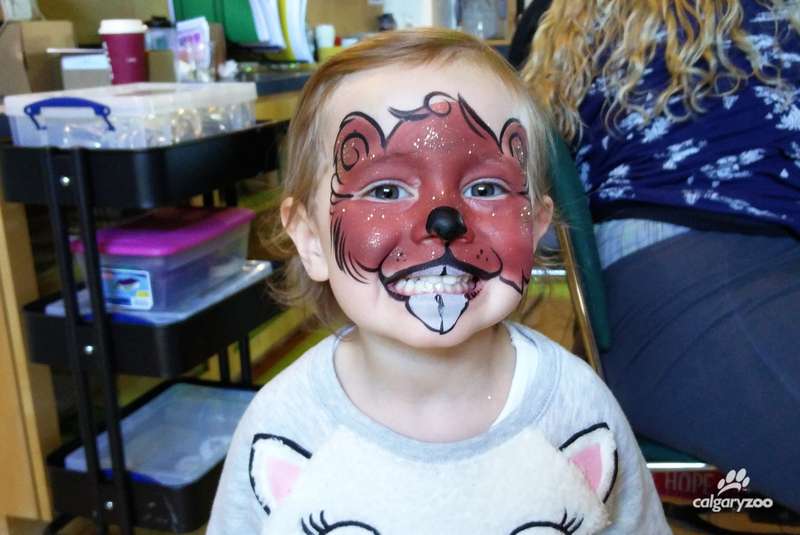 Participating in the Canada’s Greatest Animal campaign was a great example of that- well done! One simple, effective method is to donate to the Calgary Zoo. Whether it be a simple donation or a purchase of admission, this empowers the zoo to save Canadian species that we know and love- and those the public don’t know as well! Your assistance also allows us to help preserve species in their environments across the globe, including countries in Africa like Kenya, Ghana, and Madagascar. 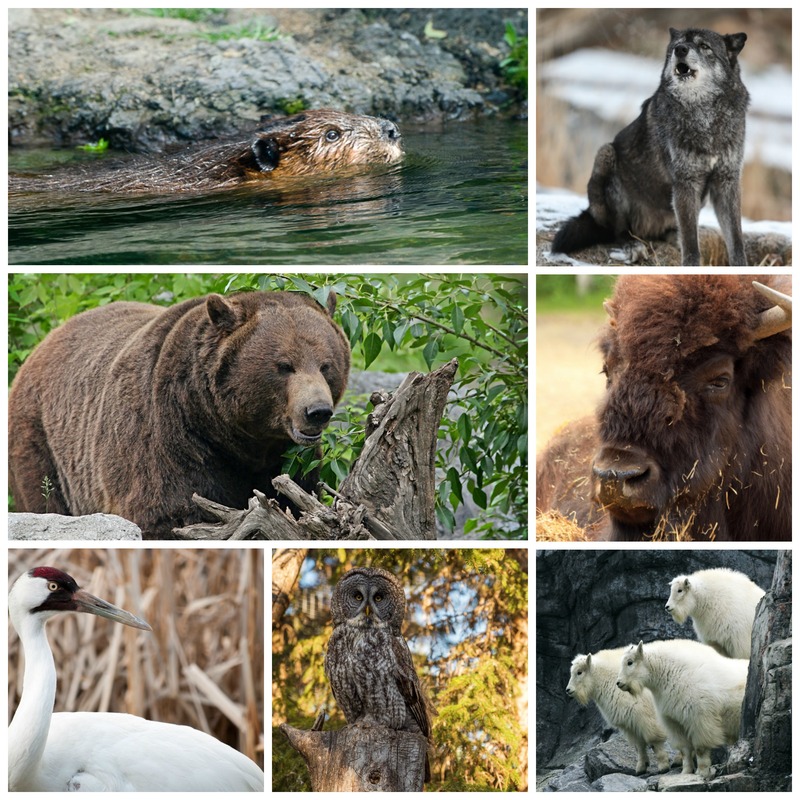 The Canadian species in the ‘Eh Team’, who ran for the title of Canada’s Greatest Animal! On this Endangered Species Day (May 19, 2017), we highlight the plight of many at-risk and critically endangered species. Each day, the planet loses three species. Since we launched this campaign on March 23, another 11 species have been added to Canada’s list of endangered species. These alarming facts makes the work that zoos and aquariums do towards saving species paramount. At the Calgary Zoo, our goal is to inspire others to take action, and to encourage daily behavior that helps to protect and save wildlife. We want Canada to celebrate their species for another 150 years. Thank you for being a warrior for wildlife. Learn more about our Conservation Research team, and how you can support the zoo.